The journalist carried bags with metal debris and, possibly, human remains. The Dutch police seized at Schiphol airport on the 7 January night a number of items possibly related to the Malaysia Airlines Flight 17 (MH17) crash, including possible human remains from freelance reporter Michel Spekkers. 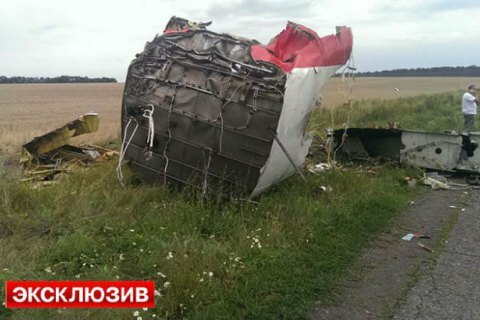 The reporter was returning from a trip to Ukraine, where he visited the MH17 crash site, AFP has reported. In a statement on 8 January, the public prosecutor said that "various bags with metal parts and an object which may be human remains" will be examined as soon as possible. The prosecutor also said that Spekkers "refused to hand over photographic and film material from the crash site". Spekkers responded on Twitter by saying that he arranged to voluntarily give up the items he found, but that his encounter with the police ended in a "total seizure" of his possessions. The reporter was visiting Donetsk to make a documentary about daily life there, he wrote in Noordhollands Dagblad. He decided to visit the MH17 crash site after hearing stories about debris still strewn in the area. According to him, he found various things lying around, including a piece of bone. Seeing so much debris still at the crash site left him with "an uncomfortable feeling of helplessness", he wrote. Spekkers filmed everything he saw. He decided to bring back some items, hoping that they may bring "some answers to outstanding questions". Malaysia Airlines flight MH17 was shot down over eastern Ukraine on 17 July 2014. All 298 people on board were killed, the vast majority of whom were Dutch. The Dutch-led joint investigation team so far concluded that the Boeing 777 was shot down by a BUK missile system fired from an area controlled by pro-Russian separatists.